Comments: ALTERNATE EDITION: Used - Good TEXTBOOK ONLY! INTERNATIONAL EDITION! 9th Edition May contain highlighting/underlining/notes/etc. May have used stickers on cover. Ships same or next day. Expedited shipping takes 2-3 business days; standard shipping takes 4-14 business days. Comments: ***This is a PAPERBACK, CUSTOM EDITION! This book is missing chapters 5,6, 10 & 12. *** Book in 'Good' Condition and will show signs of use, and may contain writing, underlining, &/or highlighting within. 2nd Day Shipping Offered! All books ship same or next business day. Used books may not contain supplements such as access codes, CDs, etc. We have the best customer service online!This is the U.S. student edition as pictured unless otherwise stated. 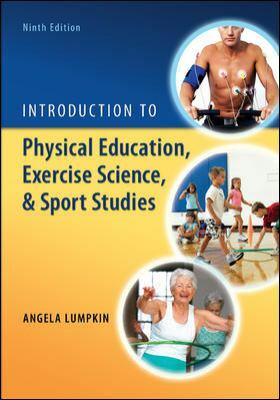 Angela Lumpkin is the author of 'Introduction to Physical Education, Exercise Science, and Sport Studies', published 2013 under ISBN 9780078022661 and ISBN 0078022665. Loading marketplace prices 33 copies from $13.66 How does the rental process work?